So you want to go to Rome, the Eternal City, well of course you do! Are you also looking for cool, comfortable and unique accommodations? The iRooms are for you! iRooms Rome is a new jacuzzi hotel concept. All their rooms are strategically placed to make sure that you are 5 to 15 minutes walking distance from all the main sites in Rome: the Colosseum, Spanish Steps, Pantheon, Trevi Fountain etc. But it's not just their amazing locations that makes them cool, the iRooms are also super high-tech (with iPads and Netflix) and they take it to the next level with comfort (jacuzzis and massage chairs). Like every single hotel we've ever been to in Rome, we walked straight past the iRooms trying to find it. The spot itself is very easy to find (and so central), but there's no massive sign. It's not really that hard to find, but just keep your eyes peeled (unlike we did). At check-in we learnt about all the facilities that are available and how to use them. The iRooms have so many cool features! What attracted us to the iRooms was the fact that each room is unique and has something special - be it a horizontal shower (iWild room) or a wall that doubles up as a cinema (iMovie room). We were in an iSpa room - a room with a private spa in it! The room itself was massive - the bed area was elevated to look over the spa area and the ensuite. Our bed was also massive, and ridiculously comfortable with a memory foam mattress and four pillows. The ensuite had a massive shower with an excellent jet. We were super excited to have a spa in our room, and it didn't disappoint! Our jacuzzi was relaxing and nice on a cold winter's night. It was just about big enough for both of us! We were pleasantly surprised to find a massage chair in our room, we had no idea it would be there! But we were so glad it was because it was the best thing ever. So relaxing! We're strongly considering buying one of our own to take around the world. In our room we had an iPad mini to use and a smart phone. The smart phone was especially cool: not only did it give us free international calls to six countries (including the UK, US and Germany), but it also had free internet - this meant that we could use it outside the hotel to find sites etc! Most hotels have free wifi nowadays, we've stayed in a few where you can borrow an iPad, but never have we stayed somewhere where you can use google maps etc outside of the hotel, it's a genius idea! The room also had Netflix. Sure you're coming to Rome, a super cool and exciting city, you might not want to sit in and waste your time watching TV, but this is Netflix, not TV! Breakfast is served between 8.30am and 11am. Unfortunately we had to leave at 7am for an early flight so we thought we'd have to miss it, sooo we were super impressed, and thankful, when the iRooms brought us our breakfast the night before, so we could still have it in the morning! It was so considerate and really great customer service. 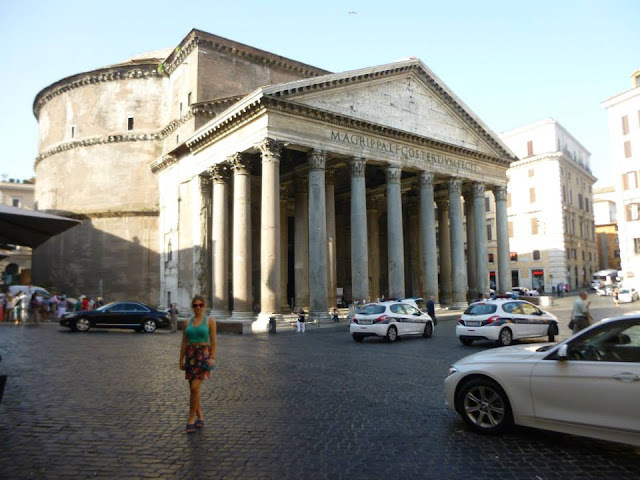 Just a 5 minute walk away is the Pantheon - a former Roman temple, now a church and a 1890 years old! The Colosseum is a 15 minute walk from the iRoom we stayed in (Pantheon). There is another iRoom (Colosseum) which is even closer. 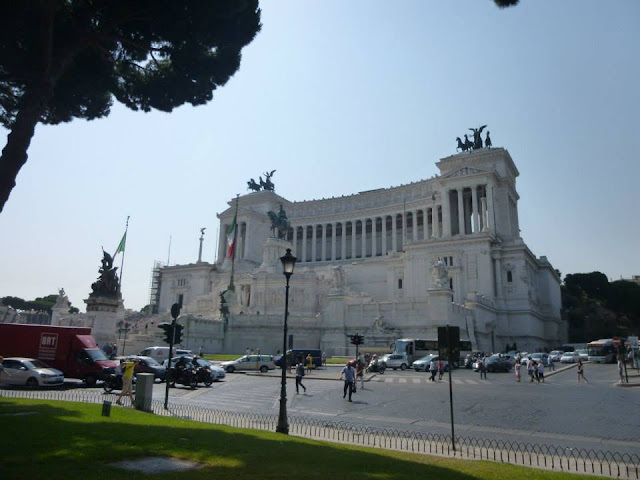 Built in 1925, this monument is just 5 minutes walk from the iRooms Pantheon. One of my absolute favourite spots in Rome is also really close - just 3 minutes walk away! 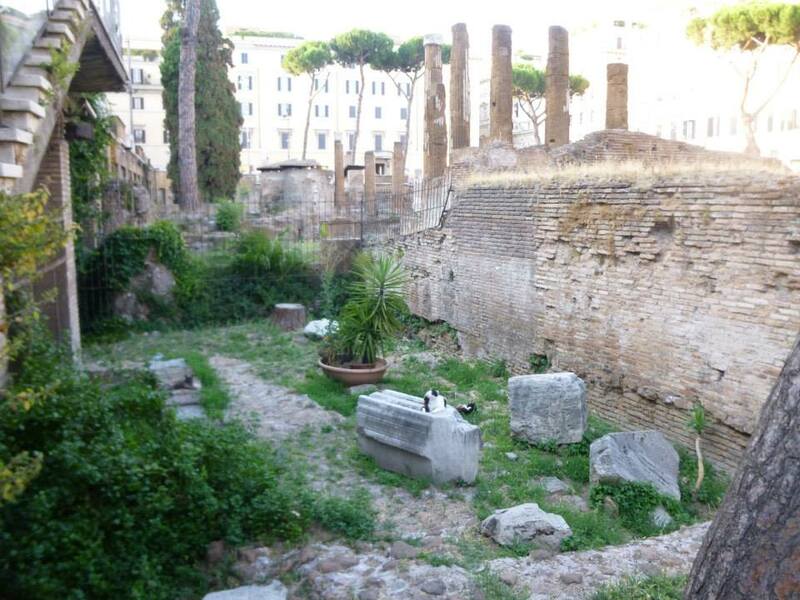 At Largo di Torre Argentina you can see many, many cats hanging out in a Roman ruin! - This was also apparently where Cesar was killed. All in all, we enjoyed our stay at the iRooms. We were impressed by the central location, the relaxing elements in our room and the gadgets. The only thing to note is that the iSpa we stayed in looks very different to the Pantheon iSpa room on their website decor-wise, on the upside though the website doesn't mention a massage chair so we were very happy with that. To book your own room head on over to their website: www.irooms.it or find them on TripAdvisor. Disclaimer: Travelling Weasels were invited as guests of iRooms but as always all opinions are our own, we would never recommend anything we haven't personally tried and liked because that's not cool.